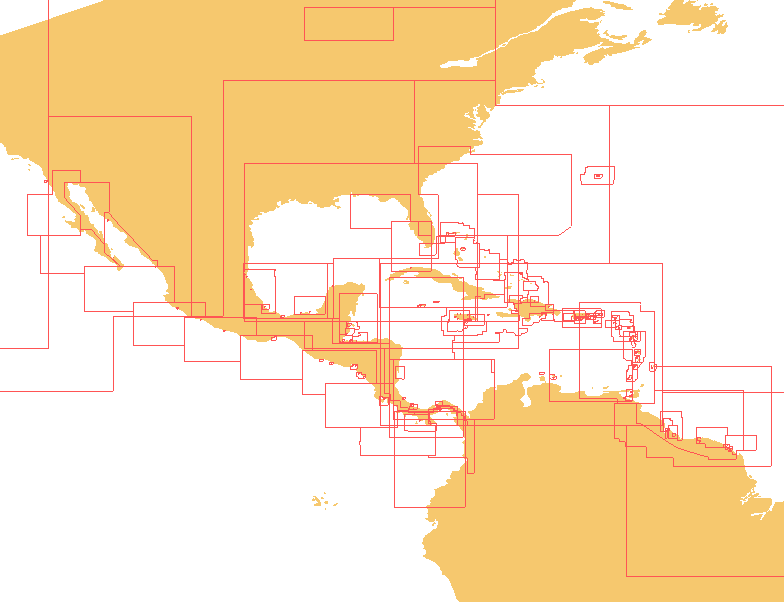 Caribbean Sea inc Panama, Bahamas and part coverage of South American coast bordering the Caribbean Sea. Note: In these waters chart datum’s are not always known with relation to the WGS84 datum used by positioning systems such as GPS. Survey data can also be very old (centuries old!). These warnings apply even to the latest S57 derived cells. Navigators should take extra care when sailing in these waters and carefully read all information notes on the cells and charts. Note: The pack includes raster data for some areas, seaPro 3000 or similar is required to view these areas.